As with other Mao Fengs I’ve reviewed previously, No. 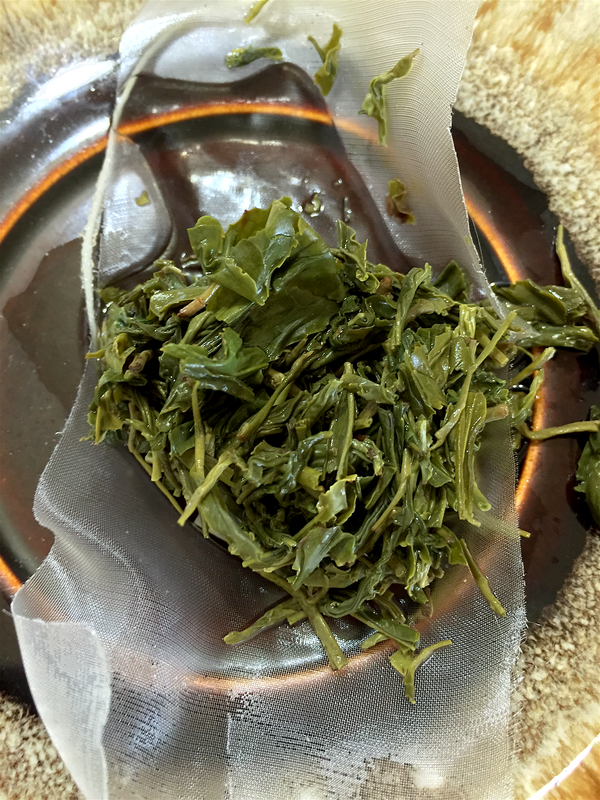 8 Mao Feng Shui from Steven Smith Teamaker is a lush, vegetal Chinese Green. Although it has subtle qualities, No. 8 Mao Feng Shui is a refined spring harvest Zhejiang Green with a good deal of character. If you didn’t pick up on the pun in the title, Shui (水) is the same word used in the Oolong Shui Hsian/Shui Xian, as well as the Shui in Feng Shui (sadly one of the only commonly used Chinese words in the West) and should probably be read to mean “harmony”. Although the Feng in Mao Feng is a totally different word (most commonly used in Huang Shan Mao Feng, meaning Yellow Mountain Fur Peak). I suppose I’d say No. 8 Mao Feng Shui has a very light bamboo aroma (its loose leaf is actually more aromatic). In color No. 8 Mao Feng Shui delights with a bright (maybe yellow-tinged?) jade. Flavor-wise, No. 8 Mao Feng Shui offers a delicate grassy note, though little else. In texture, No. 8 Mao Feng Shui doesn’t linger, which for a Mao Feng is perhaps a kind of accomplishment. My only real complaint about No. 8 Mao Feng Shui is that it’s bagged. Mind you, Steven Smith has definitely put a lot of consideration into designing the sachet and it is full leaf. Not bad at all for a bagged tea i picked up at a local grocer. Mao Feng Shui (Steven Smith) ~ loose leaf by Jocilyn Mors is licensed under a Creative Commons Attribution-ShareAlike 4.0 International License. Mao Feng Shui (Steven Smith) ~ loose leaf macro by Jocilyn Mors is licensed under a Creative Commons Attribution-ShareAlike 4.0 International License. Mao Feng Shui (Steven Smith) ~ spent by Jocilyn Mors is licensed under a Creative Commons Attribution-ShareAlike 4.0 International License. Mao Feng Shui (Steven Smith) ~ liquor by Jocilyn Mors is licensed under a Creative Commons Attribution-ShareAlike 4.0 International License.